Most food reviews are sickly sweet and rarely find much wrong. This week, Chez is not a happy bunny! “Now I am all for a manager sticking up for their staff. In fact I admired the fact that he stuck by her 100% However when that manager continues to have the same rude attitude then I have a problem. We continued to explain what had happened when the manager cut us off midway through speaking and said ” Right ladies let’s not waste anyone else’s time and get you a refund”. ← Food Review: Finally, The Little Dessert Shop. You ordered something…didn’t like…asked for a refund and got one…stop fecking whining ! 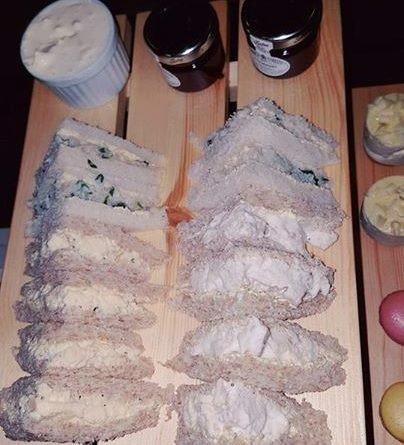 The presentation of the sandwiches leaves a lot to be desired ! I think if you’re paying £30 for a couple of poorly presented sandwiches you have a right to complain, day light robbery! 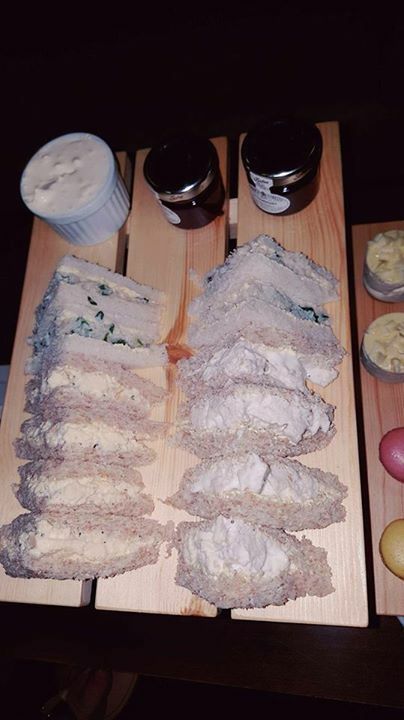 When a chef can’t build and cut a sandwich you have a problem. When the staff can’t recognise the issue ( clearly looks like the whole lot has been thrown on and slapped about ) you have a problem. Iv seen better in a petrol station. I would of asked if the chef could explain to me why he / she couldn’t cut a fkin sandwich. My kids can whip up better looking sandwiches! That ‘meal’ was very amateurish! Well overpriced for what you received. 3 sandwiches (£9 max) 2 scones (pack of 4 from Morrisons £1), two mini cheesecakes (£4) 2 macarons (£1), 2 slices chocolate cake (£4) cream (50p) 2 jam pots (70p), No more than £20.10! This is actually the afternoon tea at Telford Gold and hotel spa resort. It was absolutely faultless. The restaurant was opened especially for our party of 6 adults and one child. We wernt even charged for the child to eat and even accommodated him with a lovely hot chocolate. I feel certain if these ladies had prebooked then they would have received what we had got. As explained to her the spa bookings were in the main restaurant. So literally they were on the hop and had to accommodate at very short notice. Would they have been happy to have been turned away because they had no booking. In this instance i don’t believe they experienced the true facilities. Maybe go back at a time where you’ve prebooked and see what you do actually get. Don’t use Groupon or any other voucher sites for buying items, you just get robbed. Had you booked direct with the hotel you would’ve paid £20 for the 2 of you. Using Groupon the hotel is reimbursed less than half the actual price you pay and they take the rest as their profit. Before buying any vouchers online check to see how much the venue charges. You’ll generally find it’s always cheaper.